Home › Uncategorized › Built4BBQ vs. Cabin Fever. Built4BBQ and The Low Beat are teaming up for a string of shows to close out January, guaranteed to help you kick those ice-covered mid-winter blues. Read on and plan accordingly. First up, Milwaukee maniacs S.S. 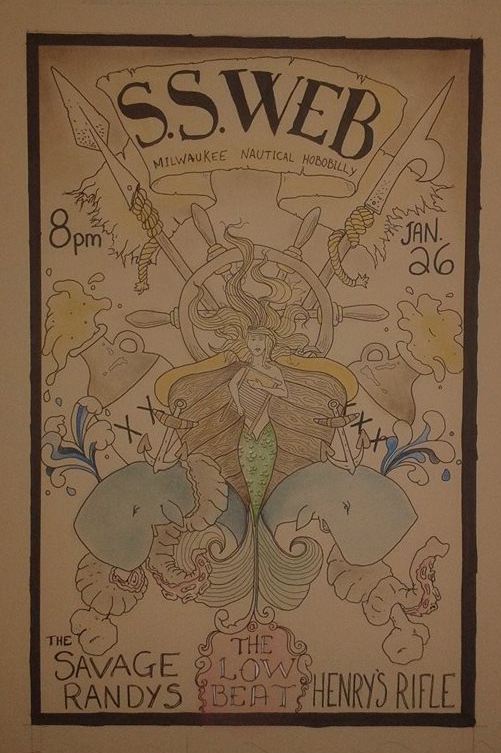 Web bring their hard-charging, heavy-drinking, washboard-assaulting folk to the stage on Monday, January 26! Henry’s Rifle breaks a few months of hibernation to kick off the festivities, and everyone’s favorite 518 punk rock macho men the Savage Randys round out the triple bill. Just try to have this much fun anywhere else on a Monday in January! Here’s the Facebook event. On Thursday, January 29, the latest edition of the Low Beat’s $3 Thursdays series features Built4BBQ ska-punk-shitstorm Girth Control, plus punk rockers 1-10 and Sick Mind, all at a very reasonable price. And then, my friends, happy hour is back! Catch The Kimono Dragons and the debut of brand-new supergroup Victory Soul Orchestra, drink specials and associated shenanigans on Friday, January 30 at 6pm! More info here. And hell, why not make a night out of it? Choogle a few blocks down Central after happy hour to The Fuze Box for a serious blast of punk rock ‘n’ roll from New Jersey redeemers Hudson Falcons, long-lost Waterford legends Plastic Jesus and local dudes Teenage Shred and New Red Scare! Stick around for Albany’s favorite punk rock dance party, The Cretin Hop! Get down. Don’t let cabin fever get you down this winter. We’ve got your back.